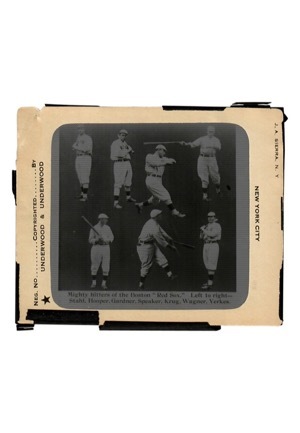 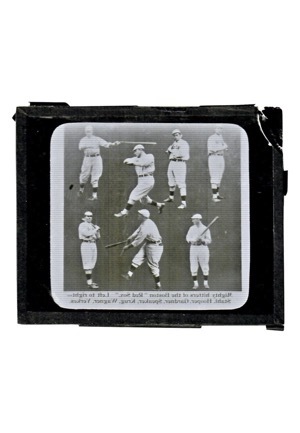 A 4x3” glass plate negative inside a case that reads “Mighty hitters of the Boston Red Sox. 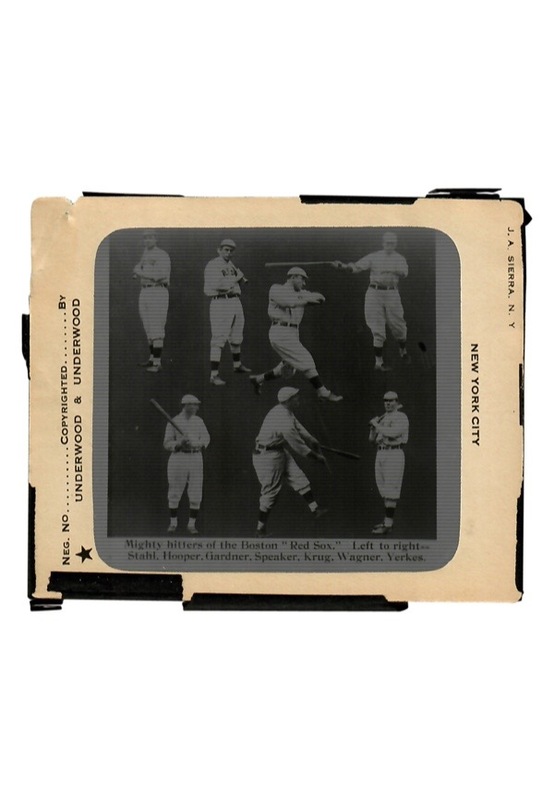 Left to right-- Stahl, Hooper, Gardner, Speaker, Krug, Wagner, Yerkes.” and depicts all of the players posing with a bat. 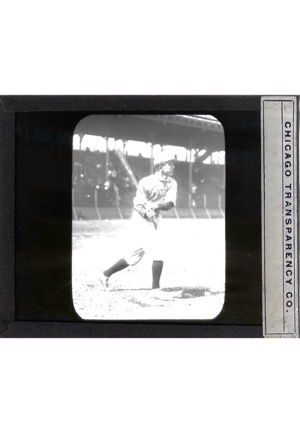 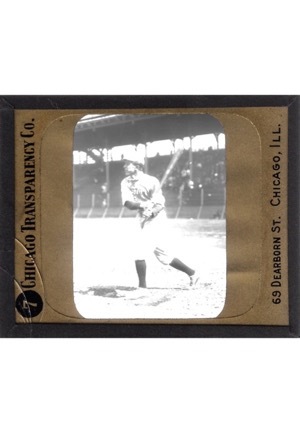 Also a 3.5x4" "Chicago Transparency Co." glass negative featuring Larry Gardner swinging a bat.